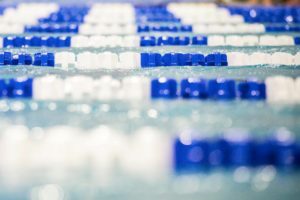 The penultimate night of finals from the 2019 Canadian Swimming Trials in Toronto will feature the 200 freestyle, 200 butterfly, and 50 breaststroke, along with the para 200 free, 50 breast, and 100 breast. The top-4 finishers in the 200 free will qualify for Worlds in the relay. Four of the top-6 seeds in the women’s race have already made the team, so the pressure is on Alyson Ackman (first) and Kennedy Goss (fourth) to maintain their spots in the top-4 while battling with a stacked field of Taylor Ruck, Penny Oleksiak, Rebecca Smith, and Kayla Sanchez. Markus Thormeyer and Carson Olafson lead the men’s event, and both are already on the team. Jeremy Bagshaw and Ruslan Gaziev are in the hunt to add their names coming in seeded third and fourth. The women’s 200 fly has Mabel Zavaros and Danielle Hanus looking to get down to the 2:09.21 standard, while Mack Darragh is the only man with a legitimate shot based on best times to hit the time in the men’s 200 fly. Angela Marina (S14) put up the fastest time in the para women’s 200 free (2:18.45), but it was Aly Van Wyck-Smart (S2) edging her in para points by two (688 to 686) to win the event. 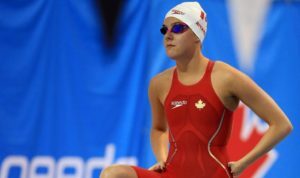 Van Wyck-Smart’s swim breaks her Canadian Record. Nicholas Bennett (S14) dropped two seconds from his prelim swim in 1:59.74 to win the men’s para 200 free with 913 points. The swim is a new Canadian Record in the S14 category. Penny Oleksiak bounced back in a big way from a disappointing 100 fly last night, going head-to-head with Taylor Ruck in the women’s 200 free final. At the touch it was Oleksiak getting her hand on the wall first, breaking 1:57 for the first time in 1:56.92. Ruck placed second in 1:56.97, adding a fourth individual event to her World Championship schedule. Kayla Sanchez (1:58.28) and Rebecca Smith (1:58.64) both made significant drops from the prelims to take third and fourth, adding the 4×200 free relay to their Worlds schedule. 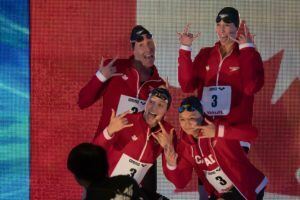 All four of them trained together last year at the High Performance Centre – Ontario. 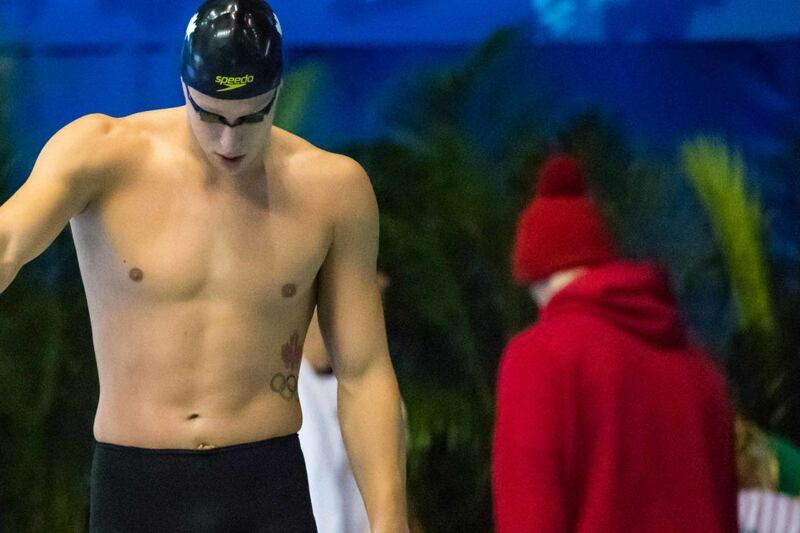 Markus Thormeyer took control of the field on the third 50, out-splitting everyone by a full second in 26.97, as he won his fourth event in as many days in the men’s 200 free in a time of 1:47.60. That sneaks under his PB of 1:47.66, but just falls shy of the ‘A’ cut (1:47.40). Alexander Pratt had the fastest final 50 in the field (27.18) to take 2nd in 1:48.74, four-tenths off his best time, and veteran Jeremy Bagshaw gets himself on the team with a third place finish in 1:49.03. Carson Olafson, who qualified in the 400 free relay earlier, was the early leader in the race but fell off on the final 50 to fourth, still good enough to add a second relay to his Worlds schedule. Dylan Carter set a new Trinidad and Tobago National Record out of the ‘B’ final, clocking 1:47.71 to improve on his old mark of 1:47.77. Mary-Sophie Harvey made up a full second on Danielle Hanus on the last 50 of the women’s 200 fly, touching her out for the victory in a time of 2:11.71. That takes over a second off the best time she set this morning. Hanus was second in 2:11.79, while Mabel Zavaros placed third in 2:13.61. This is the first event Canada will have no one get under the FINA ‘A’ standard. In fifth was Summer McIntosh, who once again lowers her 11-12 National Age Group Record in a time of 2:15.24, improving her 2:16.02 from prelims. Coming into the meet her record stood at 2:17.29. Josiah Binnema used his front-end speed to take the men’s 200 fly out in a blistering pace, maintaining the lead over National Record holder Mack Darragh through the 150. He ended up fading hard coming home in 35.63, and it was Darragh who pulled away for the win in a final time of 1:56.68, just .03 under the FINA ‘A’ cut of 1:56.71. Montana Champagne moved up to second on the last 50 to get under two minutes for the first time in 1:59.21, and Cole Pratt continued his strong meet with a third place finish in 1:59.89. Binnema took fourth in 2:00.97. Faith Knelson comes away with the win in the women’s 50 breast in a time of 31.02, followed by Rachel Nicol (31.23) and Nina Kucheran (31.66). Knelson and Nicol have both been sub-31 before, but this is Kucheran’s first time under 32 (previously 32.06). Sophie Angus (31.68) and Avery Wiseman (31.80) also got under 32 after only Knelson and Nicol did so in the prelims. Alexander Milanovich of Etobicoke got under his best time for the second time today to win the men’s 50 breast, touching in 27.84 after going 27.86 this morning. He came in with a best time of 27.87. Gabe Mastromatteo of Kenora took second in 28.01, .07 off his lifetime best. Nikita Ens (SB2) dropped five seconds from her prelim swim to top the para women’s 50 breast in 1:49.73. 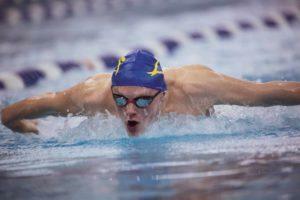 Jacob Brayshaw (SB2) took nine seconds off his prelim swim in a time of 2:11.50. Abi Tripp (SB7) was the victor in the women’s para 100 breast, improving her morning swim by over three-tenths in 1:33.99 for 824 points. James Leroux (SB9) ripped a 1:09.24 in the men’s para 100 breast to take the win over Nicholas Bennett (SB14, 1:12.25), putting up 790 points to Bennett’s 774. I could see this as an event that keeps going back and forth between them. It seems to be the sweet spot between all their specialties. Everyone watched Ruck swimming the 200 free last season (when she trained at HPC) has suffered watching her in this final. I’ll hold off for now, but I certainly expected better than 1.56.9… Can’t be easy to maintain all meet after the NCAAs though. Her stroke and her attitude in this race were so different as regards last season..: unrecognizable. Yes, it wasn’t a firework like in April last year, but I agree that it is too early to jump into conclusion. Nevertheless there are some things to think about. Manuel was good after NCAA, Ledecky wasn’t. Ruck was thought to be a replacement for Manuel and her sprint was good both at NCAA and here. 200s not that much impressive. On the other hand 200s came at the end of the meet that may affected her performance. And the most important result is that she was 100% perfect with the main task – get selected at all her events for the WC. The disaster of 2017 hasn’t happened again. Bingo… Take it for sure …4 solid Ind swims coming off of NCAAs in short turnaround… Backstroke especially… Looks great for the summer! I don’t think that 1.56.97 is a solid swim for a swimmer who has a PB of 1.54.44..
And if Kayla Sanchez (not a great trials for her so far) had swum better than 1.56.97? Ruck out of the 200 free at Worlds.. If if if… It’s about getting on the team… Of course the 200 not her best, but considering a first year away at college with NCAAs just a week ish ago it’s not unreasonable to say it’s been a solid week, 3 wins plus a close second. 3 wins and a close second?? 1 win e 3 seconds. Or even this isn’t possible to write? My bad, flipped it around. Yes, exactly: it’s basically impossible to have two decent peaks two weeks apart. 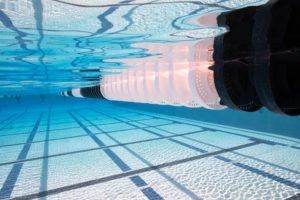 It’s not long enough to get in a solid block of re-conditioning work, especially right after being exhausted from a long four day meet, but too long to just continue to rest. Maggie MacNeil’s performances here (two PBs in the 100 free and fly and a really great performance in the 100 fly) tell another story. I didn’t expected, particularly in the 200 free, to watch Ruck near at her best, but 1.56.97 is absolutely slow considering last season, and how she performed in different periods. Also Louise Hansson, another protagonist at Ncaa final, has had great performances in the 100 fly and back here. Really amusing watching downvotes at my comments. I goes on to write facts. Can’t understand the number of downvotes on you. People on this site are too crazy about NCAA and can’t accept the fact that NCAA is not suitable for all swimmers. You are either deceiving yourself or you don’t care Ruck at all if you say you don’t worry about her 200 free after watching the trial. Let’s see either of those swim a stroke 200 and do well at this meet (they’re not). Apples to oranges. Hansson’s performances here are not in the same ballpark as her yards times. 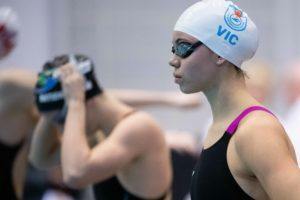 While a great swimmer – she’s improved LC times that weren’t at the top of her potential yet. When MacNeil wins a medal at 2019 worlds, then wins medals at 2020 NCAAs, then comes back and does personal bests at 2020 Trials , then we have a conversation. Basically impossible to have two decent peaks two weeks apart? But the Nats and Panpacs haven’t often been two weeks apart? So, for instance, Lochte2010 is never existed? Obviously the results cannot be exactly the same, and it’s also obvious that the main focus goes to one event, but the fact that two events like Nats and Panpacs, decisive to qualify at Worlds, are two weeks apart, is the demonstration that for Usa Swimming, not me, is possible to have two decent peaks two weeks apart. Can you rephrase? Don’t follow the last line. Ledecky won five gold medals (three individual) and a silver at the 2017 World Championships after her freshman NCAA season. Guess Yozhik finds that unacceptable, LOL. 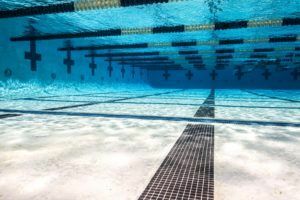 After sophomore NCAA season, Ledecky broke the 1500 Free world record by five seconds prior to winning another three individual races at Pan Pacs and being world swimmer of the year. Horrible what happens with that training at Stanford!! I was talking about the most challenging event in Ledecky’s program:200free. That is the event where she has to be perfect to win. She can be 8sec slower her personal best at 800 but still to be 3 sec better the #2 all time in textile suit (Li Bingjie in Budapest). Not in 200 though. The slightest deviation from good form gets punished. And that is what has happened. The most unusual thing was that she didn’t show any effect of tapering. It can be many explanations to that and one of them is the style of her training in Stanford. You may have a different opinion and I will gladly listen to it if it holds water. These comments are ridiculous… she peaked for another meet 3 weeks ago, this meet wasn’t the focus, it’s not a comparison at all. Taylor Ruck got nipped at the end again. So many times in college she lost only a few hundredths or tenth in her finish. She was ahead here at 200 but Penny closed the race stronger and got her at the touch while Ruck seemed to glide in. Bummer! How is this a bummer. Taylor Ruck still qualified individually, and Penny finally won a national title.